187 x 232 mm, 451 grams 224 pages, 100-140 4-C photos and illus. 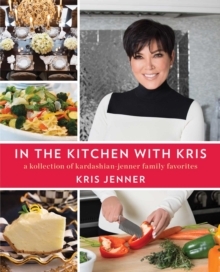 From New York Times bestselling author and America's favorite "momager," comes a cookbook and entertainment guide filled with Kris Jenner's very own insightful tips and favorite recipes. Kris Jenner has done everything under the sun from starring as the matriarch in Keeping Up With the Kardashians to writing a New York Times bestselling memoir entitled Kris Jenner... And All Things Kardashian. Inside this incredible cookbook, you'll find nearly 70 favorite recipes that have become the centerpiece of Kardashian-Jenner family traditions. This book is another way to bring fans into Kris's home with recipes and entertaining tips that can be used by anyone and everyone. Join Kris as she rolls up her sleeves to dish out tips on how to do it all and have it all in her new cookbook/entertainment guide.